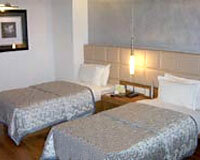 Hotel Regaalis is situated in the heart of the city. 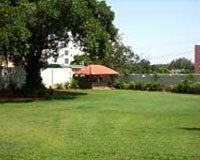 Located in the heart of Mysore, Hotel Regaalis boasts of an extensive complex spread over 3 acres of lush green gardens. Its stately edifice of grace and grandeur presents the best example of modern architecture. 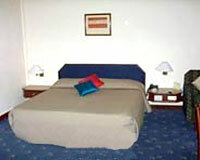 Offering the latest amenities and personalized services, the hotel has an ideal setting for relaxation. Well-equipped with five-star luxuries, Hotel Regaalis is a real combination of royal charm and modern style and its understated elegance and impeccable hospitality make it a popular choice to stay in Mysore. 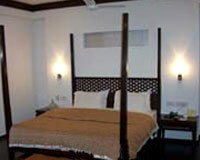 The hotel has a total of 108 luxurious rooms, categorized into Club Rooms and Superior Rooms. 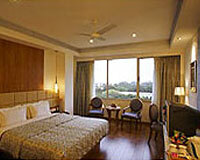 Its well-furnished rooms feature the most modern of facilities. 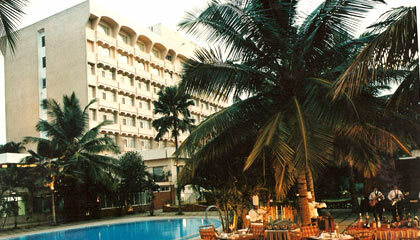 The Restaurant: A fine place to dine and relish a range of delicacies. Charcoals: A poolside barbeque offering tempting reasons to have more. 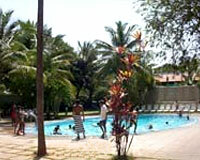 Coffee Shop: An ideal venue to munch on snacks and sip refreshing drinks. Cocktail Lounge & Bar: A place to relax over the finest spirits and cocktails.